Recently I found that my sidebar of some of my posts were down at the bottom of the page, and it wasn't my fault. It was caused by commentors who left long unbroken text/unclickable links in the comment. 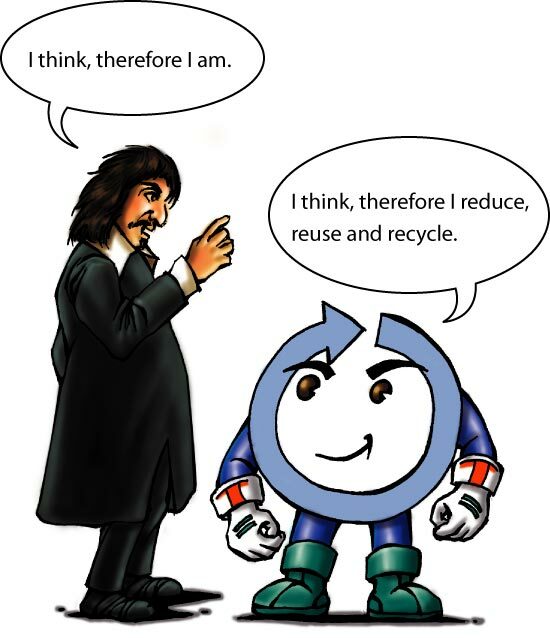 I tried to delete the normal way, that is, log into Blogger, surf over to the post containing the comment, look for the trashcan icon, click on it, and confirm deletion. Well, it didn't work for me, probably because I had tampered with the permalink (timestamp). So I had to contact Blogger support. That is another story that you can read here How to contact Blogger support. I finally did get a reply from them with instruction on how to delete the comment. I found the month in which the problem post was, click on that month in the archives, scroll to the post, click on the comments, and there I finally saw the trashcan, click on it, and deleted the offending comment. So folks, sidebar sliding to the bottom of the page may not be only your fault. You should check the comments made by your visitors to make sure they don't contain any long unbroken text/unclickable links. 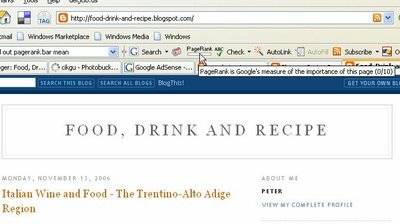 A reader of my blogs asked how to add a working search-bar to the Header. 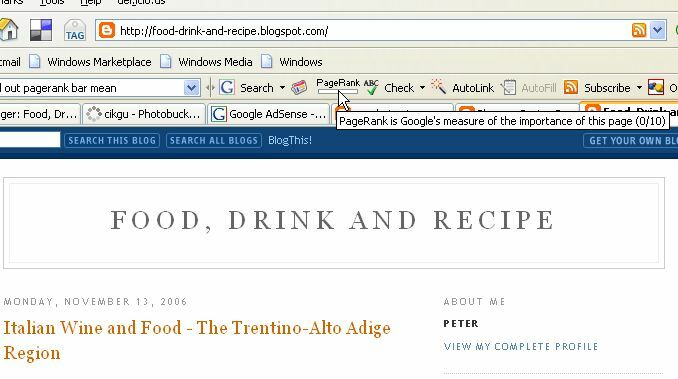 Actually, this post Adding a graphic to your Blogger Beta blog Header (close new window to get back to this page) will show how to do it if one understand the method, but I thought it will be a good idea to experiment on another blog and describe the method specifically how to add a working search bar and link unit to the Header. You will see in this blog Motivation and Self Improvement (close new window to return to return to this page) a working search-bar and a link unit in the Header. Type some keywords into the search box and try it out to confirm it works. Note that there are other things in the sidebar and in the footer, but when I started, there were only the standard profile and archive in the sidebar. The rest were added later. Update 2 November 2006: I changed to Ramani's 3 column Minima template and tried to add the searchbar, but this time, when previewing, I got the error message"Your template could not be parsed as it is not well-formed. Please make sure all XML elements are closed properly. XML error message: Attribute name "checked" associated with an element type "input" must be followed by the ' = ' character." However, do read the rest of the post as it is now possible to add a working link unit to the header without having to tamper with the AdSense script. If you have already other HTML widgets added, just count the number of the HTML widgets you already have (say X), then the "blank" page element you just added above would have the id='HTMLX+1' and you will then have to paste the searchbar script in that widget. However, this time, for the link unit to be displayed, the comment tags <!-- and //--> have to be deleted from the script. This is technically violating the AdSense Program Policy, and I will be contacting them regarding this. I will post their response here. UPDATE 22 November 2006: A comment from a reader: "the showaddelement= No to be changed for getting the google search in head wrapper is not present in the beta template anymore google must have removed it.. any ideas"
I tried answering him in the comment section, but it will not accept the code I tried ot paste in there, so no answering his question here. That confirm Blogger Beta has not removed the "showaddelement='no' from the Minima template. Maybe he was using a different template or didn't look hard enough. If you have any problem searching for a line of code in the template, one easy way is to copy the template into Notepad, use the search function to find the code, do whatever modification you need to do, copy the modified template, delete the content of the template editor window, paste the modified template into the now empty template editor window. If you try to put a Google search bar in a Blogger Beta blog in the Layout by adding the script via the "Add a Page Element", it will not work. I have tested it. However, you can get a working Google search box by pasting the script into the template. 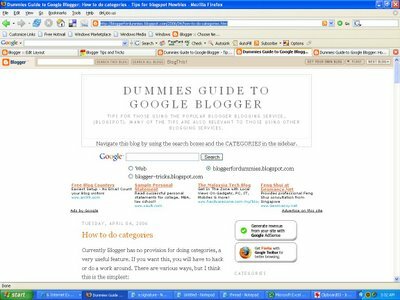 To see how this can be done, look at Testing adding of Google AdSense Searchbar in Blogger Beta. Recently I did a test again to see if the script can now be added via the "Add a Page Element" in the Layout of a beta blog and find that it still would not work. 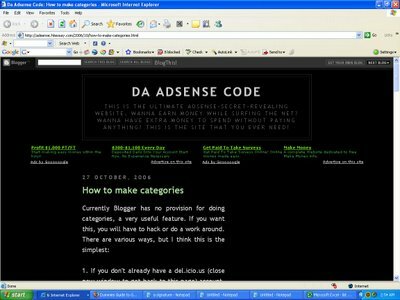 AdSense Help Center had been informed about it, and they have forwarded the message to Blogger, so let's hope that this bug will be solved soon. Highlight the whole code (click on the inside of the box, press CTRL+A, right click and select copy, then click in a suitable position of your template. To find a guide to where to paste it, this post can help you: Adding content via the Blogger template (click "BACK" button to get back to this page). You can add or subtract from the list of links as you wish. The above is for those using the Blogger classic template. The way to add a link list is different in the Blogger Beta template. For that, you can add a link list by clicking on "Add a Page Element" in the Layout. More about that later. Today, I received a comment moderation notification email and approved it, but only after I posted it, I realised that the commentor has included a long link (non-clickable) which will cause the sidebar to slide to the bottom of the post. I checked in Internet Explorer (most of the time, I use FireFox with the Google toolbar (close new window to return to this page) and confirmed it. I quickly commented on the comment author's blog (there was no email) and explained the reason why I am forced to delete the comment (it was a comment which disagree with my post) and that I hope she will comment again, making the link a clickable link (close new window to get back to this page) and I will approve it. If keeping the sidebar in the proper position is important to you, I will advice that you examine the comments carefully for such things linke long, unbroken line of texts, especially long unclickble links, long line of unbroken code, etc. This has happened to me more than once (see section below). For most of my blogs, I have enabled comment moderation to keep out spam comments, etc. However, one day, a member of the Google Blogger Help group asked if he can edit the comments. Now in the comment moderation notification email, there are 3 options - Publish, Reject, Moderate. I have practically all the time clicked Published, and on rare occasions, clicked Reject, but I have never clicked on Moderate. I thouht that clicking on Moderate will allow one to edit the comment, but no. I wanted to check before I answered that question, and looked for a comment to moderate. It so happen that the only comment moderation email notification I had was for a Blogger beta blog. I clicked on Moderate, expecting to be taken to a page containing that comment. Instead of that, I was taken to a page with a list of comments waiting for me to moderate, with the comment I received for moderation right at the top. The comments below I have never received any notification. I took some time to moderate all the comments there. I initially thought that this was only a Blogger Beta bug. Just in case it is not only a Blogger beta bug, I decided to check on one of my Blogger classic blog (this one) in the Dashboard for this blog by clicking on the "Moderate comments" tab. To my horror, I found a list of 51 comments waiting to be moderated, some dating back to June, and for which I also never received any email notification. And more important, I found that there is no way I can find in which post that comment was made, which makes responding to the comment very, very difficult. So if your comment was not published in good time and/or not responded to, blame Blogger, not me. I have notified Blogger support, and hope they have taken note of the problem and is doing something about it, especially making the information as to which post the comment was made in available when one moderate comments via the Dashboard. In the meantime, if you are moderating comments via email notification, do take the trouble to check "Moderate comments" in the Dashboard once in a while. That reminds me. 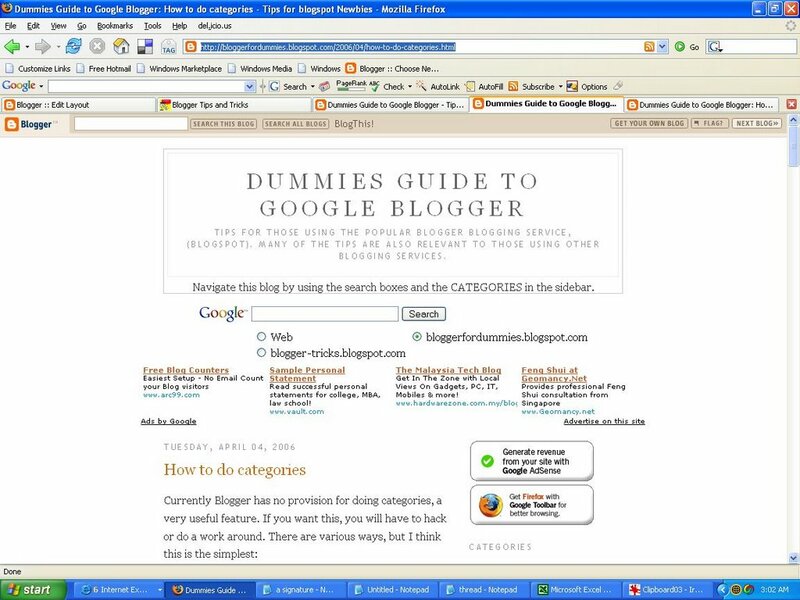 I must check that in my blog Dummies Guide to Google Blogger (close new window to get back to this page). BTW, there was one comment with a long lines of unbroken codes in one of my post which canused the sidebar to slide to the bottom of the page, and which I didn't discover for a long time. That was very embarassing because I have a post in my blog which explain what to do when sidebar is pushed to the bottom of the page. 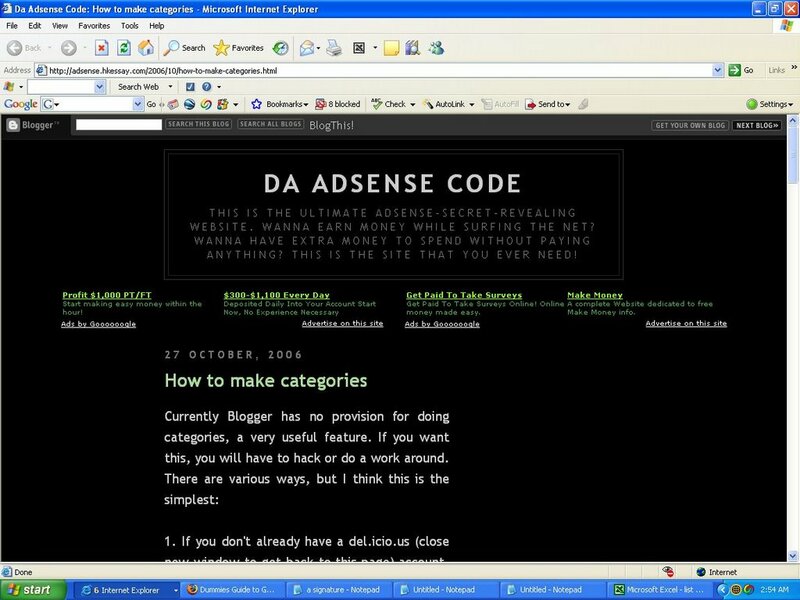 UPDATE 14 November 2006: I logged into Dashboard and clicked this blog in the list of blogs in the Dashboard. Clicked on "Moderate comments" and again found 10+ comments waiting for moderation for which I never receive a email notification. I approved all except 2, one being a duplicate, and another one a spam. I have no idea which posts the comments were made, so am unable to respond. I have already informed Blogger, but looks like they are either too busy, do not want to, or cannot do something about it. I will inform them again and see if matters improve.